“We are extremely happy to have finalized this investment round shortly after our 1st year anniversary and to again focus 100% of our attention on what we enjoy most: providing an amazing shopping experience to our customers” Maximilian Bittner, CEO of LAZADA, commented. “The interest in joining this round and its quick closing has exceeded all our expectations” he added. 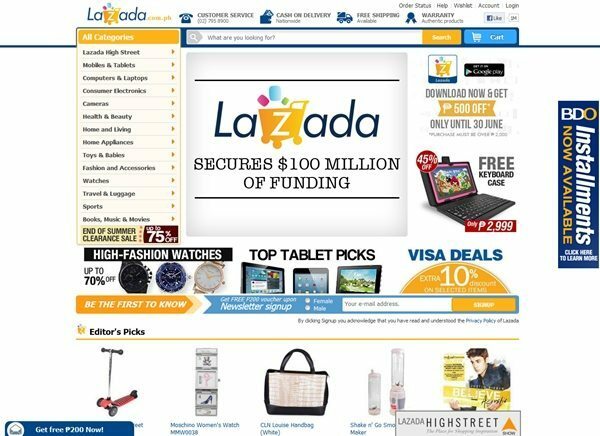 “We are thrilled to join LAZADA as a partner of Rocket Internet and an investor, the company’s scale and achievements after only one year of operations are highly impressive. Given the management’s track record and the region’s macro outlook we are very confident in LAZADA’s future” Frédéric de Mevius, Chairman of Verlinvest, said. LAZADA, which recently surpassed 1 million orders, has always maintained the customer experience as its main point of focus and invests heavily to provide superior services to its customers. This focus has resulted in a highly streamlined fulfilment process where currently 90% of all orders are shipped the same day and 85% of orders in metro areas are delivered within the next day. However, to further improve delivery time and increase customer satisfaction the company will use a large part of the freshly injected capital to optimize its fulfilment infrastructure in the near future.